Adam K. Afara, renowned international event planner, is the founder of Events By Adam Afara Inc., an event planning company based in Los Angeles and Orange County, California. The celebrity floral designer is behind the creation of the breath-taking sets in Coldplay's latest music video featuring Beyoncé, "Hymn for the Weekend," which is creating a lot of buzz over the internet as fans are going "gaga" over the gorgeous, extravagant floral scenes beautifully portrayed in the music video. The video for "Hymn for the Weekend" was shot in India as Afara created a grand, magical set using an array of fresh flowers and bold colors representing the true essence of the country. Entertainer/Singer, Beyoncé, in a scene from the music video, "Hymn for the Weekend"
Afara, who is known for his extraordinary, high-end artistry, has worked with a number of celebrities such as singer/songwriter Lady Gaga, designing an elaborate flower set for her latest music video, "G.U.Y.". He has also worked on creating the beautiful scenery for another music video featuring international crossover singer/actress, Haifa Wehbe. Furthermore, he has designed sets and backgrounds for other A-list stars such as entertainer/actress Jennifer Lopez, actor Charlie Sheen, film & television actor Darius McCray, hip-hop artist Akon, and television host Debbie Matenopoulos, among others. Afara is a talented designer who specializes in wedding planning and creating imaginative sets, private party set ups, and innovative décor for several corporate events. Events By Adam Afara was recently commissioned to be the official design team for Variety's "Unite 4 Humanity" Pre-Oscars Gala in Beverly Hills. Afara and his team of highly creative and experienced personnel work closely with the client to understand their needs and provide the best outcome. He is known for his signature floral arrangements, magnificent set designs, and unique décor concepts that his clients love. "I believe that the passion and the drive I have for my profession is something that you are born with; something that comes naturally from the heart. This gives me the creative flow to design and the vision to implement my ideas," says Afara. 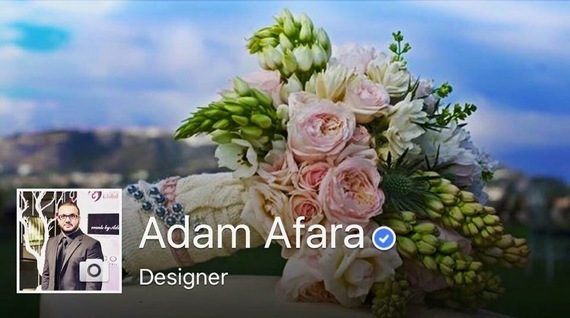 Afara also specializes in destination weddings, creating aesthetically appealing backdrops. He is certified in international event planning and is also a member of the Association for Wedding Professionals International. Afara has successfully expanded into the global market, planning events in Qatar, United Arab Emirates (UAE), Dubai and Mexico. Events by Adam Afara expanded into Mexico after receiving an exclusive invitation from the Mexican Ministry of Tourism. The company has also been presented with many industry awards over the years, including the Wedding Wire Couples Choice Award five years in a row from 2010-2015, The Knot Best of Weddings Award in 2014, and landed the cover of Ceremony Magazine in 2013, in addition to being featured internationally on television and other media platforms. With 15 years of experience in event planning and a diverse, exclusive network, Adam Afara, along with his team of dedicated professionals, work diligently to secure the best in first class venues, florists, resorts, photographers, etc., to make every event perfect for their clients by "transforming moments into lifetime memories." Photos courtesy of Events By Adam Afara Inc.